Ver. 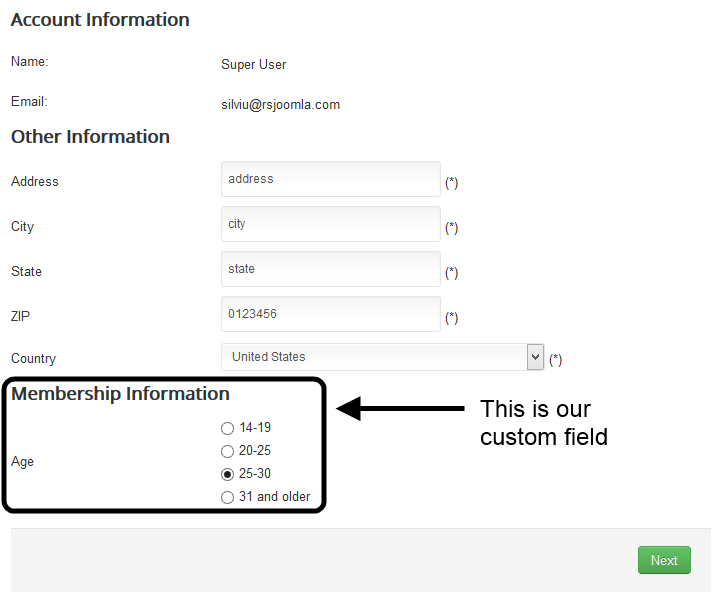 1.20.0 introduced a new feature - the possibility to add custom fields per membership, allowing you to gather up other information that would be relevant to your memberships. In this article we will explain how that works. Published: Yes / No - publish or unpublish the field. Membership: Choose the membership. 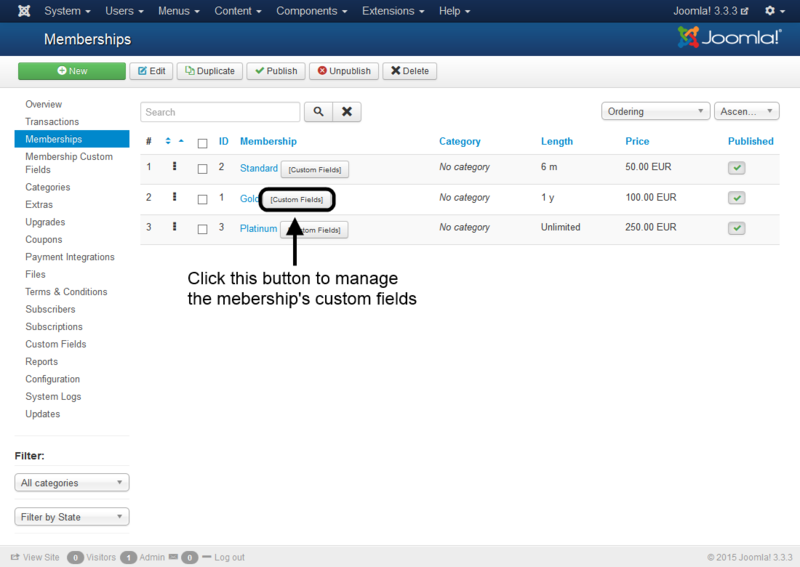 If you access the layout as explained in this guide, the membership will be automatically selected. 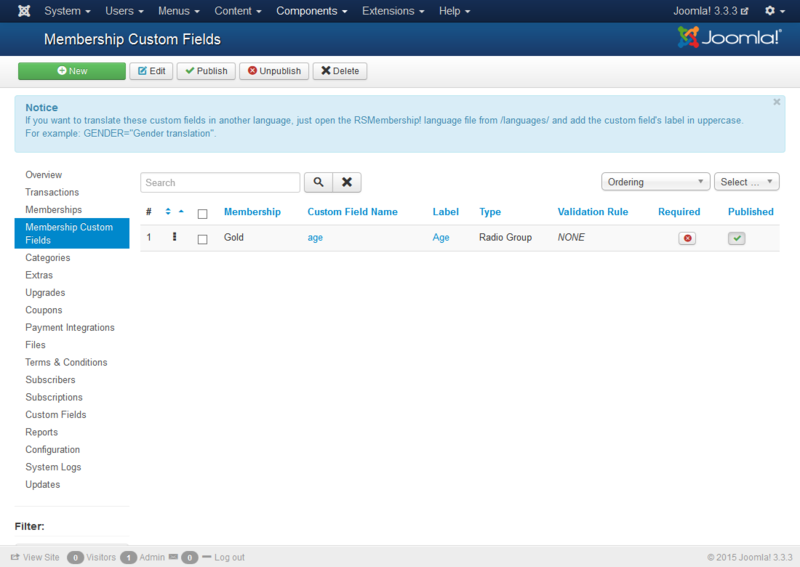 Custom Field Name: Set an internal name for the custom field. 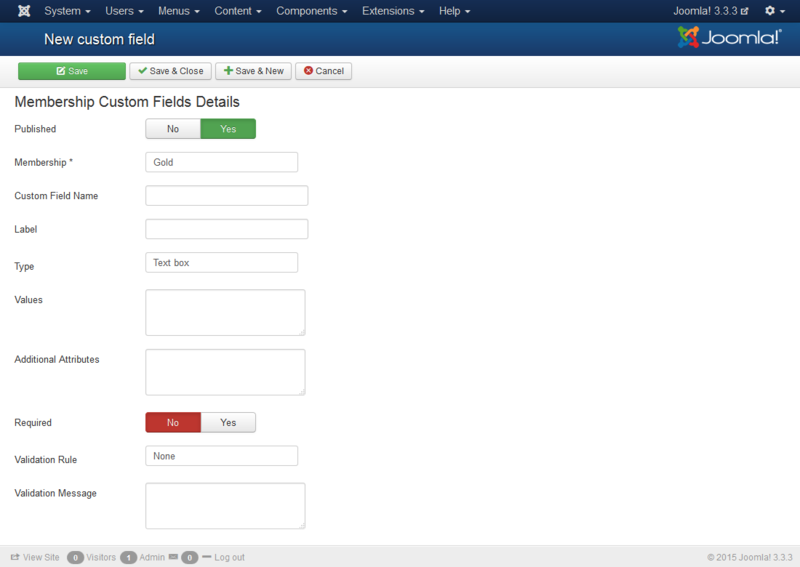 Label: Set a label (caption) for the custom field, that will be visible in the frontend. Type: Choose a field type - Custom HTML / Text box / Text Area / Select List / Multiple Select List / Checkbox Group / Radio Group / Calendar / Hidden Field. Values: The custom field's value. Multiple values (for dropdowns, checkboxes and radio groups) must be specified on separate lines. Validation Rule: Choose a validation rule for the field - None / Alpha/ Alphanumeric / Numeric / Email / Website. Validation Message: Set the message that gets displayed if the field fails validation. Add, anywhere within the file, AGE="Âge" and save the changes. 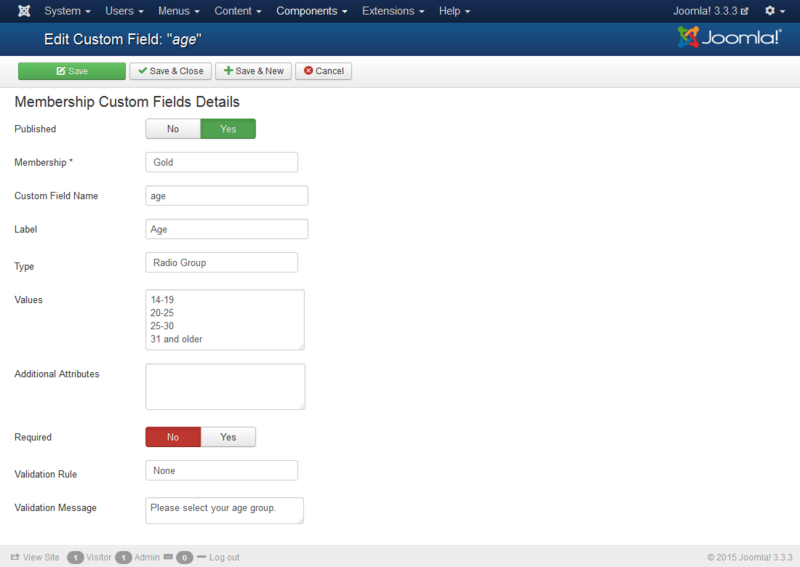 Note that you will need to replace AGE with the capitalized version of your custom field's internal name. 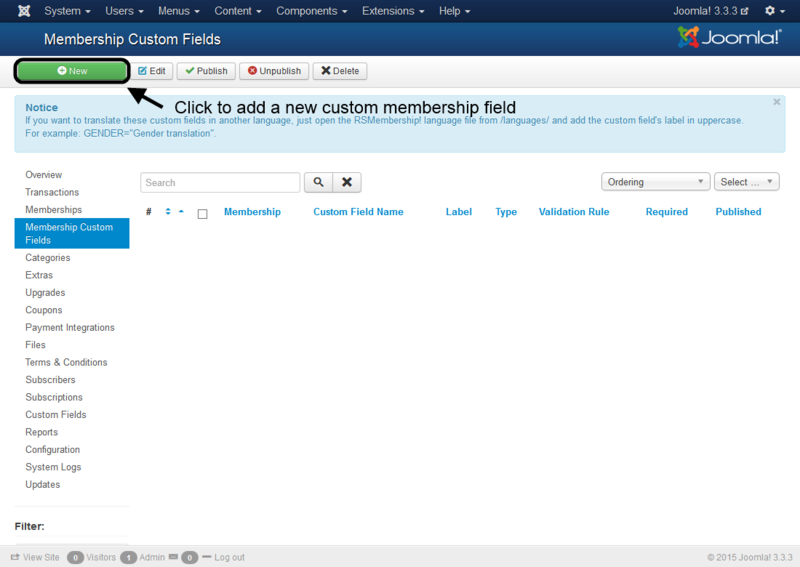 As you can see, the custom field's label, along with the value you selected when subscribing to it, are being displayed here. Can I auto-populate custom fields ? How can I set a country selected by default in the Country field?